Today let's give LEGACY COMICS & COLLECTIBLES a hand for their creative use of the Image Comics floor display. Select participating comic book retailers (known as "Image Comics Headquarters stores") are unveiling these easy-to-spot displays and showcasing bestselling creator-owned comics all over. We're so excited about this new program that we wanted to share with you some of the photos retailers have emailed us of their stores' displays. 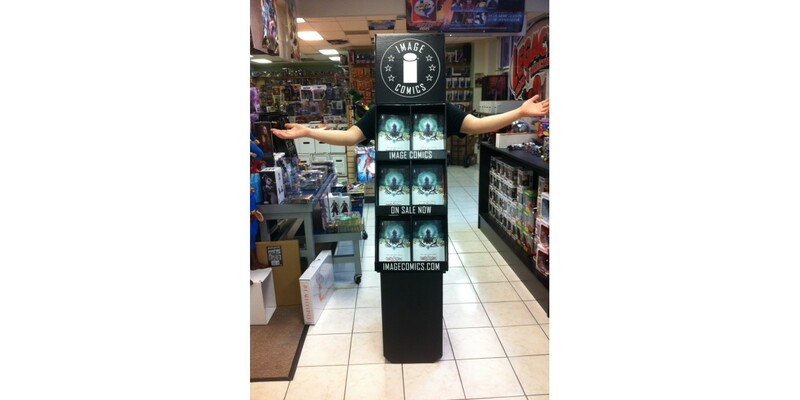 Thank you LEGACY COMICS & COLLECTIBLES for showing your support of Image Comics!